Promotional Products: what an ideal way to advertise. 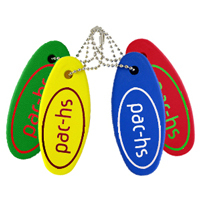 For your Promotional Products requirements, Pac-hs have an experienced team who can help you to promote your idea, business product, exhibition event, or campaign . We offer an extensive catalogue of standard printed promotional products that can be branded with one or two colour print with your name or logo. The advantage of these are the low minimum order restrictions, in some instances as few as 50. Lanyards come in a quality of a minimum of 500. You can have up to four spot colours and CMYK on one or two sides. 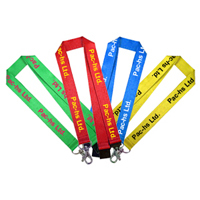 You can choose what size lanyard you want: 10mm, 15mm, 20mm, 25mm. You can also choose what feature you want: Basic, Safety Lock, Trade Show (to clip PVC Name or Badgeholder), or Separation Buckle. We have a range of wallets, such as: Trifold (to carry cards, notes, coins), Zip Close, and Velcro Close. You can print up to two colours on one side. The following products can only be printed with one colour: Wrist, Single Zip, and Wrap Over Closure. 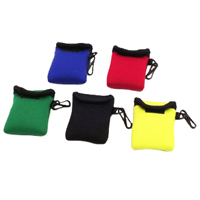 The following products can be printed with one or two colours; Coin Wallet, Plastic Hook Attaches, and Velcro Secure. 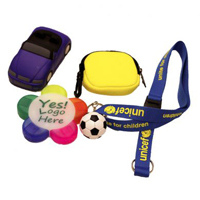 We have a range of key rings, such as: Mini Football, LED Lights, and Coin Holders. We also have a range of holders: Badgeholder, Sunglasses Holder, and Can Holders. Most of these products come in all sorts of colours and features to fit your business theme, or if you just have a favourite one. 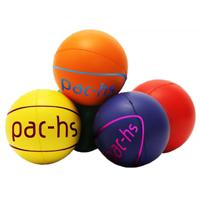 Stress Toys are a recognised promotional product but they can also have a therapeutic value as well as being a fun item to have around the office. Predominately used in the office environment and particularly by IT operators. Pac-hs offer a bespoke service offering both style and design options to suit your requirements. Not found what you’re looking for? We have more promotional products to show you. Desk Equipment, Outdoors Equipment, and Accessories. Some of these products can be printed on one or two sides with plenty of colours and features to choose from.